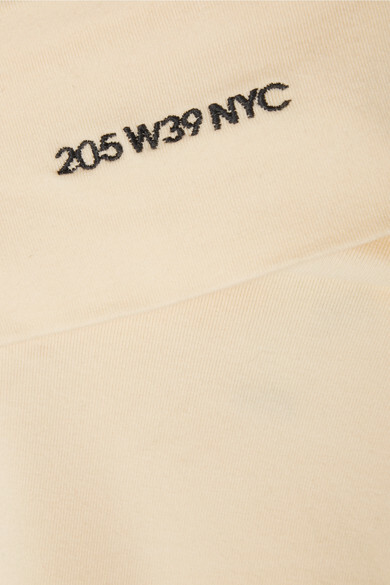 CALVIN KLEIN 205W39NYC's turtleneck top is a wardrobe essential. Made in Italy from cotton-jersey, it's cut for a slightly loose fit and embroidered with the address of the house's headquarters. Try yours under a blazer or tucked into a pleated skirt. Shown here with: CALVIN KLEIN 205W39NYC Tote, CALVIN KLEIN 205W39NYC Sandals.